Time to get off the barstool and up to the mic! Amateur comedy competitions like Edinburgh Fringe’s So You Think You’re Funny have unearthed some of the world´s top comics including Dylan Moran, Peter Kay Rhona Cameron and Tommy Tiernan. 2012 turned up a real wealth of talent in Barcelona as we knew it would, all of whom are entitled to perform again unless they have become full time pro comics in the meantime (see below for conditions). They will be richer, stronger, wiser for the experience and ready to take on the next group of hopefuls who will all be vying for what will now be A Spanish National Comedy Title. It will be a challenging process that will produce just the one worthy winner. Entrants to the Competition must be amateurs. Performers must not have been paid to perform regularly before the 14th September 2013 (for the 2014 competition). All performers must perform 6 - 8 minutes of totally original material. You will get a warning at 6 minutes, again at 7 and must be off by 8, or be penalised!! THE SCHEDULE IS DESIGNED TO CREATE A RANGE OF DIFFERENT ATMOSPHERES AND AUDIENCES TO MIMIC THE COMEDY REALITY! There will be 3 qualifying heats throughout September leading to a Madrid Final in TBC. 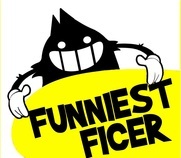 MADRID´S FUNNIEST FICER WILL WIN A 2 NIGHT ALL EXPENSES PAID TRIP TO TAKE PART IN THE GRAND FINAL IN BARCELONA!!!! There will be 5 judges in the Comedy Clasico Final, to include one vote from the audience on the night and the headline act. Judging panels throughout, will comprise industry professionals, local Media and some of the Giggling Guiri´s most experienced comedy goers. Throughout the process everyone can rest assured that the judging will be impartial, of the highest standard and nothing to quibble with. QUALIFYING VENUES: We are currently seeking venues. Check back soon!! We will do our best to accommodate people if they wish to or can't perform on certain dates in particular venues, but we cannot guarantee this. *****Closing date for applications is midnight on September 8th 2014 but if you have a preference for heats then it will pay to get the names down as early as possible!! In association with one of the US' most famous comedy brands The Laugh factory who have a chain of famous comedy clubs but also a prestigious comedy competition with the audacious title 'Funniest Person in the World!!' and we have made an agreement where we will provide the Spanish participants in this global competition. They have offered the GG two places in the competition for our Funniest FICers so what you thought was a humble local based competition now has slightly broader scope. Unfortunately for logistical reasons Stephanie Figueira was unable to provide the necessaries to enter in time so our two Madrid Finalists Archie Bezos and Joshua Saxon who competed against Steph in last years Comedy Clasico decider. There is no less than $10,000 dollars!!! up for grabs for the winner but there is also 5 x prizes of $1000 for the first 5 entrants that get past the 1st round PLUS an invitation to perform at their Hollywood Club!!! GO HERE NOW AND VOTE FOR OUR BOYS in this years comp!! So who knows where this competition can lead and each year as it gets more consolidated and we seek to tighten and improve how it works and knits our 3 weeks of festival together.